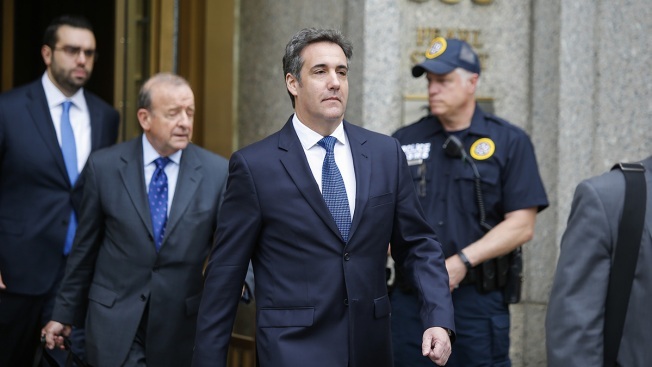 Michael Cohen, second from right, former personal lawyer and confidante for President Donald Trump, exits the United States District Court Southern District of New York, May 30, 2018. A review of materials seized in raids on Cohen's home and office won't significantly slow a criminal investigation of his business dealings. Prosecutors said they had reconstructed about 16 pages of documents that had been found inside a shredder during the raid. 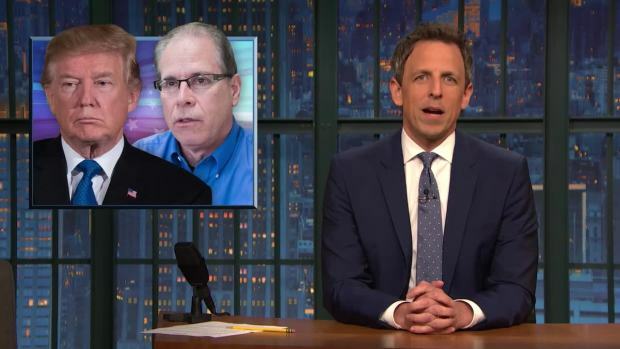 President Donald Trump is distancing himself from Michael Cohen amid an FBI investigation into his longtime personal lawyer's business dealings. 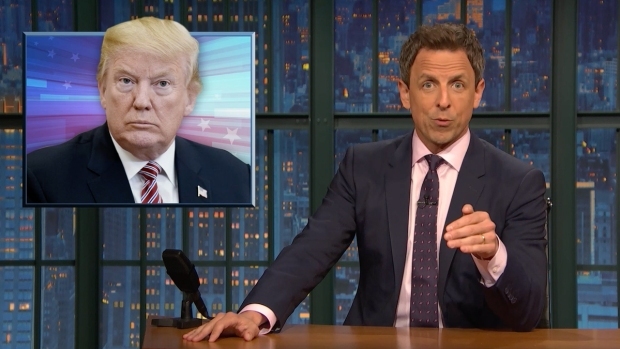 Seth Meyers takes a closer look at the White House dealing with new revelations involving the president's fixer, Michael Cohen, and questions about its cruel policy of separating immigrant families.